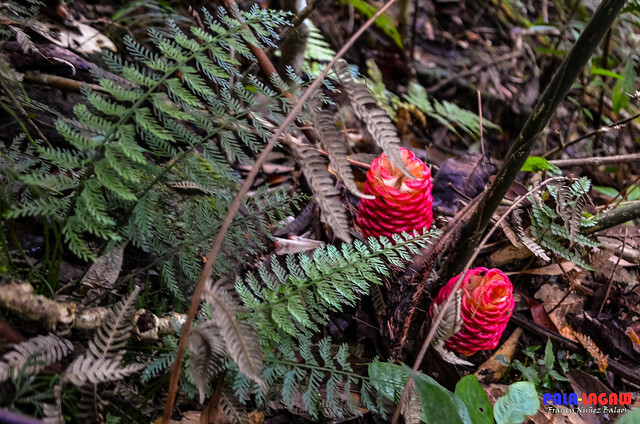 Thickly forested sloping terrain with diverse Flora and Fauna, Magpet being situated at the foothills of the Talomo-Apo Mountain Range is one of the easy trails to consider when hiking Mt Apo the Philippines highest mountain. Before we started the trekk, we hired a jeep to drive us to Tawsuvan Falls, in Brgy Bongolanon of Magpet. 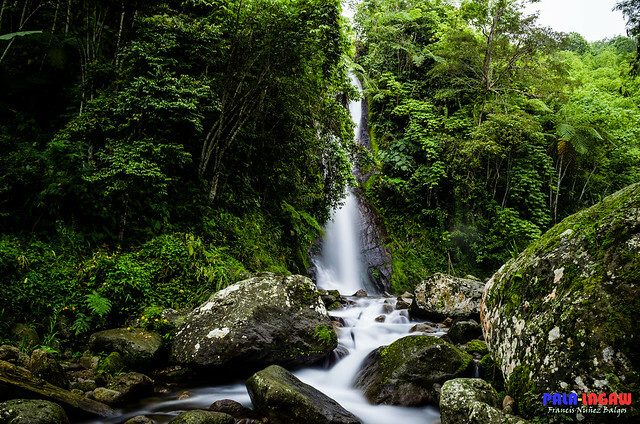 Tawsuvan Falls is a 30 meter falls sliding in a rock wall and adorned with thick foliage which I'll be blogging about in a separate post. 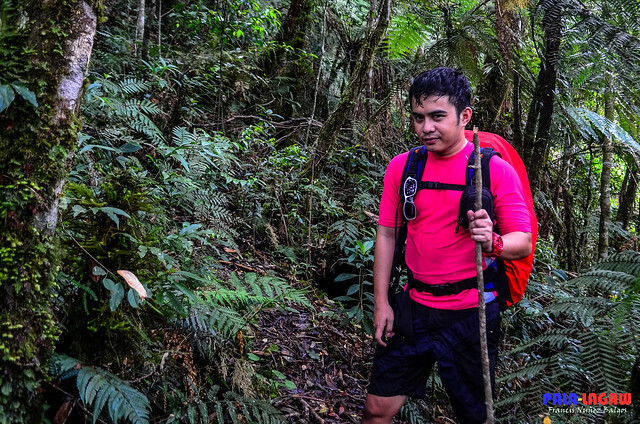 As was told by Karl from the Kidapawan Tourism Office, our chosen trail to Mt Apo is called Bongolanon trail. For our day 1, we opted to reach Camp Anos before night fall. From Tawsuvan Falls to Camp Anos took us over 2 hours to trek in wet shoes. We didn't know and we were not warned that we had to waddle in the pool of Tawsuvan as our trek starter, perhaps it is just as so since for this entire expedition, we are expecting to trek with wet shoes all the time. We had to cross this pool in Tawsuvan Falls to start the trek through Magpet Trail. 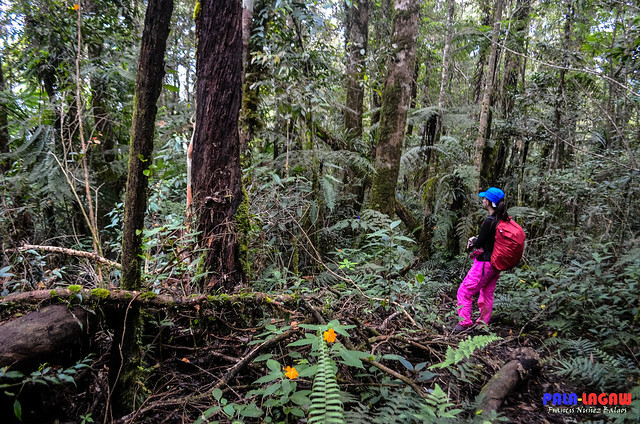 Mt Apo has many trails, and the one coming from Magpet is thought to be the easiest; but just because it is said to be easy doesnt mean it can be underestimated, Mt Apo is after all the highest mountain in the country. The Magpet trail sits right smack in the Mt Apo Natural Park protected areas, use of this trail requires the approval of the Tourism Office before it can be trekked, there are instances wherein this trail is closed off to hikers to allow the forest to rehabilitate and for the resident animals mating season, hence it maybe the easiest trail but requires more paperwork. 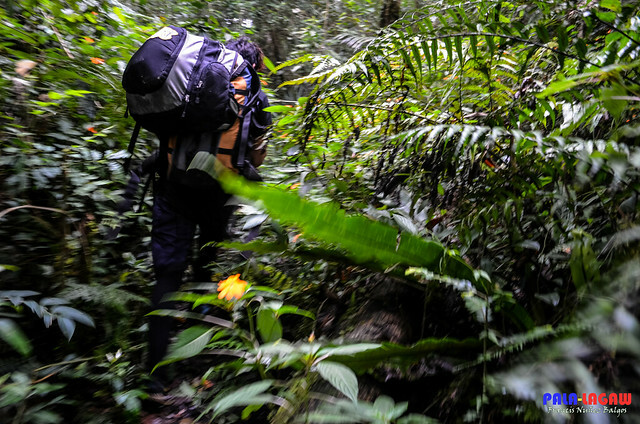 Trekking Mt Apo would be like an expedition, as it will not only challenge you physically but also mentally. We reached camp Anos in over 2 hours from Tawsuvan Falls. A ridge designated as camp site still in Dipterocarp terrain level with covers of fruit bearing trees. A pleasant night for us as we prepare dinner in Camp Anos, this site has water source. We were visited by a snake with gold sheen who was probably attracted to the heat of our stoves. Mye, our team leader who is known to have a third eye for other worldly beings claimed that she heard a woman singing during our lights off. She said that it wasnt hostile to us and that she was lulling us to have a good night sleep. 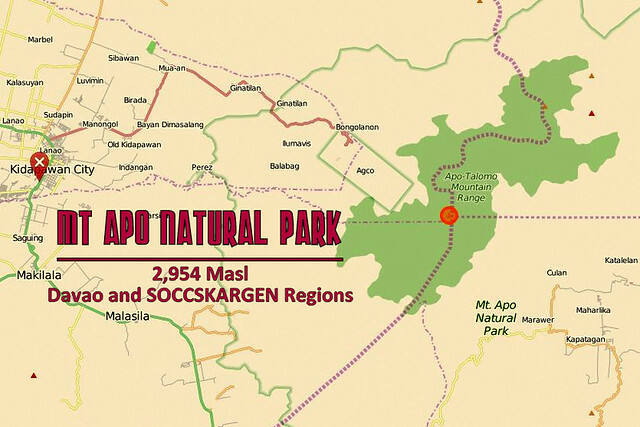 Three terrains you have to pass through in Magpet trail to the Mt Apo summits, the Dipterocarp forest from the jump off to Camp Anos is in part cleared for farm lands. At some point from Camp Anos to Camp Bob'Bong you will notice a change in the trees, though gradually at approximate 1,500 MASL is the Elfin Woodland Terrain a.k.a Mossy Forest characterized by Gnarled Oak Trees covered with Moss, this part is so extensive. We trekked the whole day in this mossy forest without hope of finding a different terrain. 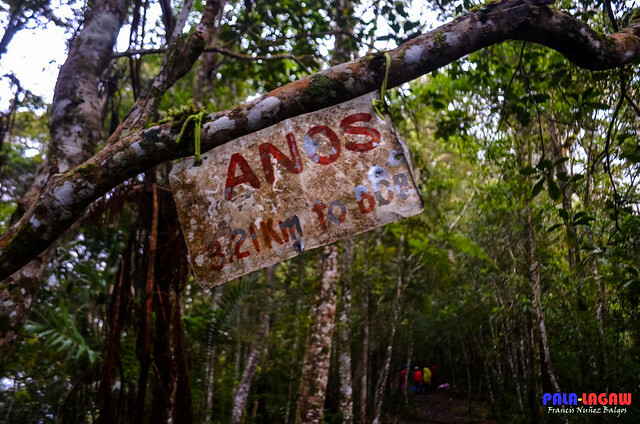 Orchids, Huge Ferns, Pitcher Plants and at regular intervals are towering Oak trees that would need 7-10 people holding hands together to measure its base. Trekking in the middle of the forest, I imagined being faced with one of those deadly Dinosaurs in the Jurassic Park movie. It won't be far fetch as it looks and feels like I'm on site with Isla Sorna and Isla Nublar the Jurassic Park movies Dinosaur Islands. This Elfin Woodland stretches forever and we were the aliens come to invade in this environment. Contrary to the cautionary stories and claims I heard before this expedition in Mt Apo, the Magpet trail looks and feels pristine. I've never seen any debris of garbage except for a bag of trash left in Camp Bob'bong by previous hikers; there's nada of garbage. 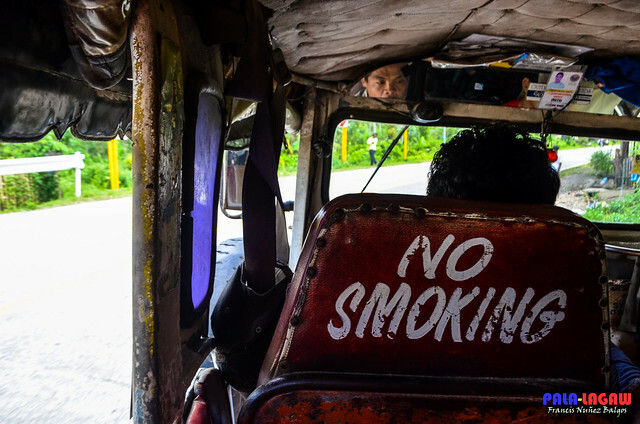 It certainly is a different story than the one I heard that Mt Apo is dirty, perhaps in other trails. 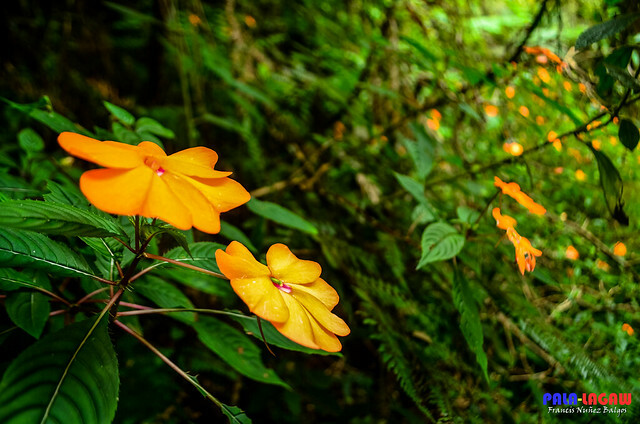 I was trying to keep up with our guides, and didn't much notice the wide array of floras along the trail. This once just happened to be along the trail and since I carried my camera like a huge pendant, I got the chance to photograph my first pitcher plant. Angelo was the guide buddy of Francis. I was keeping abreast with him, while he carries his own back pack and is carrying another bag for portage, he still is too fast for me. Lets just say that for me, he became the definite definition of trail monster towards the end of this expedition. I came back after 3 Nights and 4 Days of this trip to Davao and SOCCSKARGEN Regions and became strong as a hiker. It has to be noted that before this, I was always the one to lag behind my trekking buddies. Its shameful to admit but I was a heavy smoker and this vice had only slowed me down. One of the things I realised through introspection as I trek under the forest of Mt Apo Natural Park is how weak I am, thereby as I became tired and trembling in my knees, I learned to push further beyond my physical limits. Though next only to the Porters who seemed like walking in the park and our guides Francis and Angelo who looks like they have Mercurian sandals in their feet, I was the at the head of the pack of my buddies. I endured taunts from our guide Francis saying that they are deliberately trying to be slower to matched our pace. It took someone to say it to me at face value, that I am slow and weak, hence I decided that from then on I will not be ridiculed for what I lack. You could say, my strength came from character and pride. I guess its a far greater experience by learning the extent that our human bodies can endure. 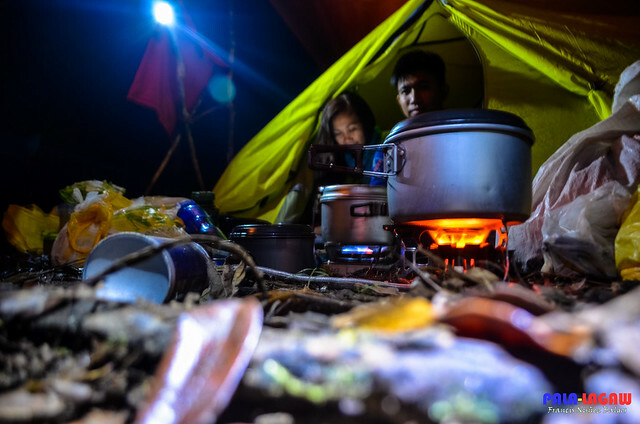 I was battered by the time we reached Lake Venado, but I only needed a good night sleep to be ready for more physical battering to the summits of Mt Apo. This has become one of those epic adventure that I will surely reminisce for the rest of my life. Now, months after this unforgettable experience, I've begun to crave far greater challenges and had continuously been hiking esteemed mountains near Metro Manila. We reached Camp Bob'bong a little too early, ate our pack lunch and did a little wash up before resuming the trek. 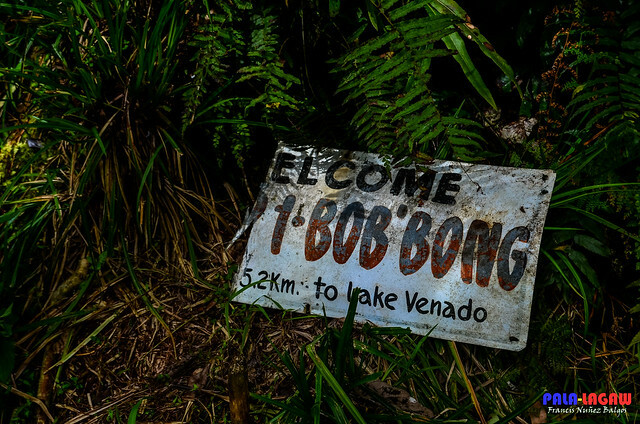 Camp Bob'bong deserves a separate feature. 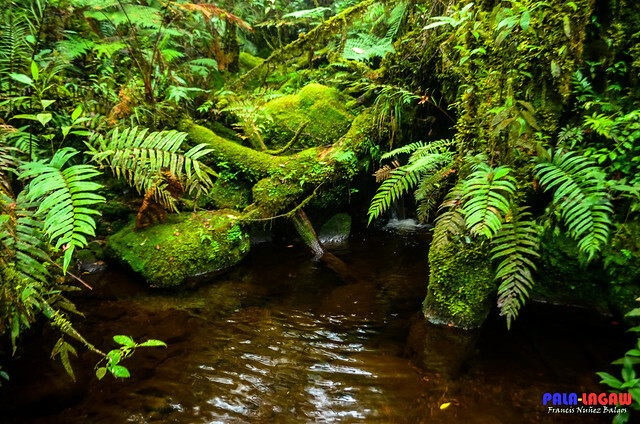 Its like a Garden in the middle of a forest, laden with wild flowers, and natural springs, the gnarled tree roots all covered with moss and the ground is blanketed with ferns. Camp Bob'bong spring water source. Resuming our trek from Camp Bob'bong, the trails are hidden in thick foliage of ferns. Suddenly we found ourselves covered in mist on the middle of the day. Joane and I were taking a 5 minute break as we wait for our buddies, see how lost and alien we are in this environment. The long stretch of this mossy forest is getting in our nerves that we decided to trek closely with our buddies for comfort. Compared to other mountains I climbed with usual Local Goverment Unit (LGU) and community organised guide trips, Mt Apo is directly managed by Department of Tourism (DOT). Never mind the many preparation to be done for before this climb, once you witness the efforts that the DOT has done when it comes ensuring the safety of climbers, the reminders of the off limit areas and the scale of logistics and contacts to coordinate with, you'll be thankful in realising that someone is doing their job and doing it well. Karl, the Tourism officer from Kidapawan DOT was like a godfather looking out for us from a vantage point. From our trek start in Magpet to our traverse in Kidapawan, he made sure to keep track of our whereabouts and that we successfully completed the expedition. Our guide Francis Pogosa made sure that we did our training climbs before we even set foot in Davao, he kept tracked of our training climbs months prior to climbing Mt Apo, this of course means that we already sealed the deal with him beforehand with the required task to secure reservations. On a personal note, I was very thankful I did the training climbs so when the time came to trek Mt Apo, I was ready. 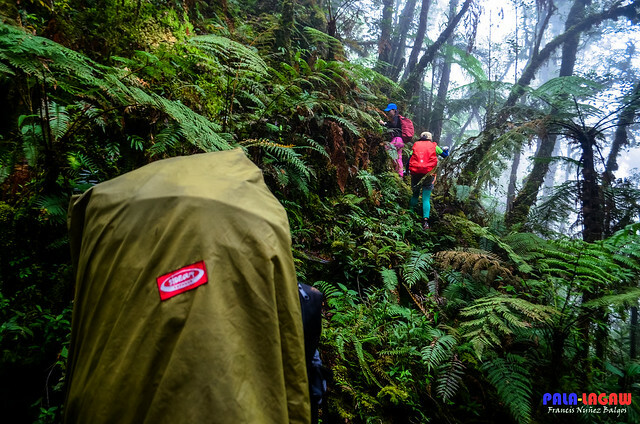 As a group, we did Mt Makiling as training for trekking in a forest and developing fast pace; we did Mt Arayat of a stormy weekend, this gave us the training we need for wet climbs and trail reading while raining. I climbed Mt Batulao for leisure, but it became my introduction to trekking in muddy trails; then two weeks before the trip to Davao, I went to Banaue and trek the Batad Rice Terraces to Tappia Falls, the long exposed stairs trekking up and down was a painful exercise but it sure did prepare my legs for the more arduous task ahead. 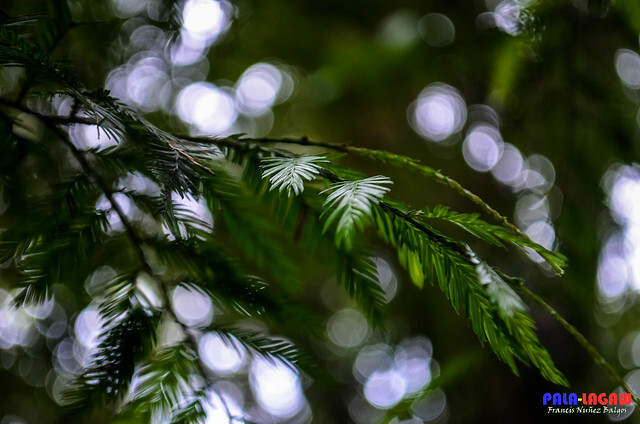 A stark contrast in a world of greens in a forest teaming with life. I enjoyed some of my take 5's with selfies, after all there's no one to take my photo but me. Strange trees of this Elfin Woodland. This looks like the leaves of one of those pines or oaks along the trail. 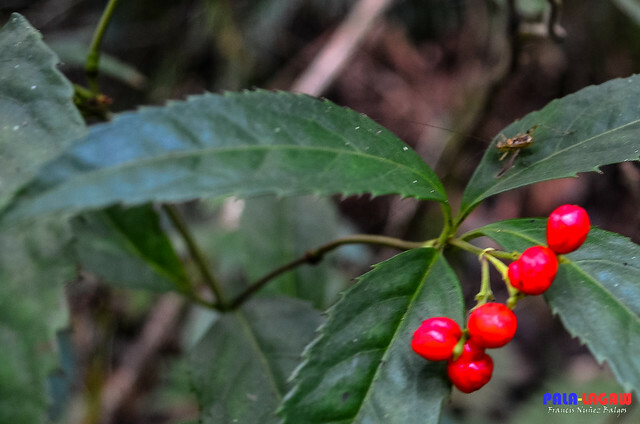 One of those red berries which I didnt dare munch. There's a scaterring of these wild flowers in every clearing. They also varry from different shades of orange, to yellow and white. There's no shortage of these natural floral gardens. This is just one part of my Mt Apo Adventures. wow ang ganda lalo na yung mossy at falls nakaka miss talga umakyat ng bundok. Thank.you for writing this blog about the trail in our municipality. Nakaligo kami dyan sa Tawsuvan Falls, a day before the Mt. Apo Sky & Vertical Race. Hope to hike up to the peak one day. 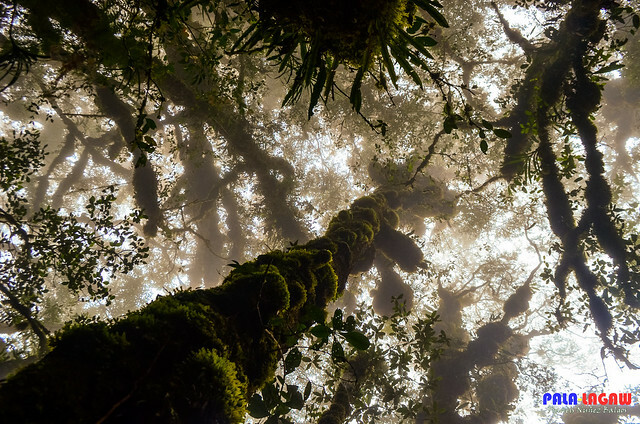 Great photos of the mossy forest, parang Lord of the Rings ang dating! wala naman kaming na encounter na Limatik sa Magpet. It could be just teh dry season though as its starts November all the way through Philippine summer.